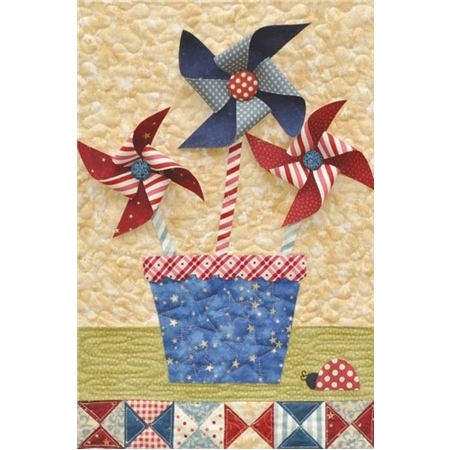 Blessings of Summer is the 2nd pattern in The Blessings SeriesTM by Shabby Fabrics. 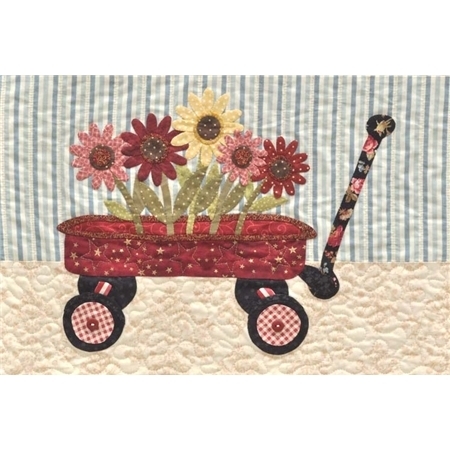 This cheerful 55" x 65" quilt celebrates all the joys of warm summer days with twirling pinwheels, a wagon full of daisies, yummy ice cream cones and so much more. 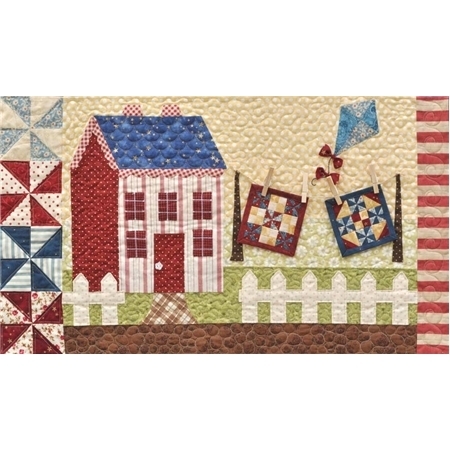 Tiny wooden clothespins secure miniature quilts to the clothesline for added fun!